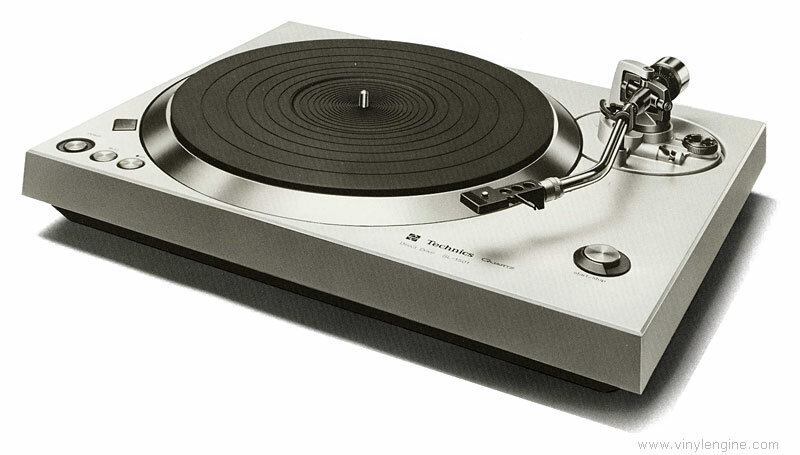 The SL-1501 is our latest direct drive turntable with all the remarkable features you've come to expect from Technics. And they add up to specifications we like to boast about speed drift -±0.002%, wow and flutter 0.025% WRMS, rumble –73dB (DIN B). How do we do it? By choosing only the best components and by developing what other manufacturers can only dream about. Starting with our unbeatable Heteropole direct drive motor, we add Quartz Phase-Locked servo control with an extra-heavy precision machined platter mounted in a diecast base with our double isolated suspension system. Then we top it all off with a super-sensitive gimbal suspension high compliance tonearm. You know that quartz-locked direct drive is the best turntable drive system available today. Because we developed the world's first direct drive turntable, the original SP-10, and added the elaborate quartz-phase-locked control circuitry completing the epoch-making professional turntable, SP-10MKII. The result is incredible rotational precision. And this time-keeping accuracy can be verified in the specifications of other manufacturer's quartz-locked turntables, not just ours. 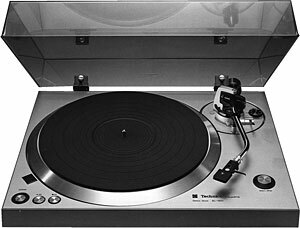 But what you'll also discover in the SL-1501 if you compare specs, is that only Technics can guarantee 1.Okg cm of torque without torque ripple. This remarkable torque gives Technics alone a build-up time of 1.3 seconds. It also means no speed variation with up to 180g (90 tonearms at 2g each) tracking force. What's more, to bring this rotating wonder to a smooth quick stop, we've built in an electric braking system. Perhaps we're overdoing it, but in the long run it adds up to greater reliability and satisfaction. And that's a Technics tradition you can depend on. 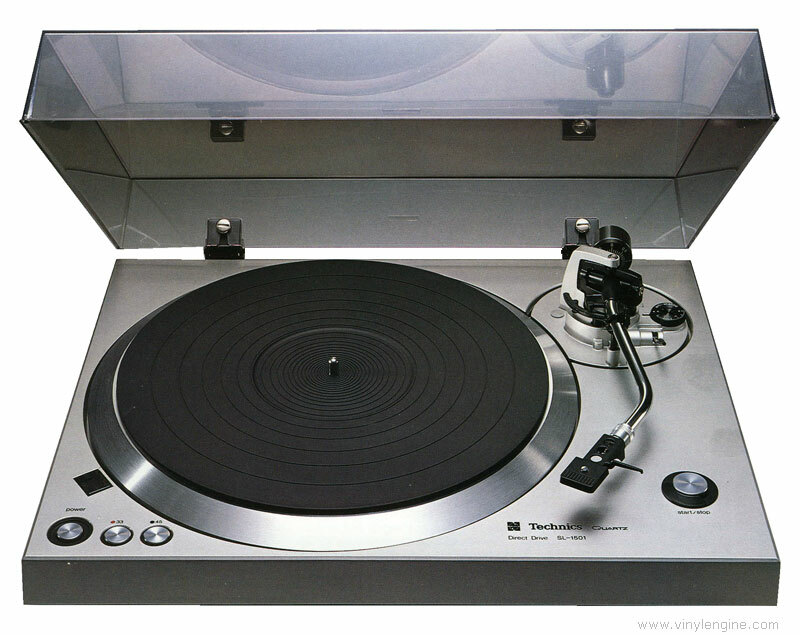 Technics SL-1501 / SL1501 owners manual, service manuals and schematics are for reference only and the Vinyl Engine bears no responsibility for errors or other inaccuracies. The PDF files are provided under strict licence. Reproduction without prior permission or for financial gain is strictly prohibited. 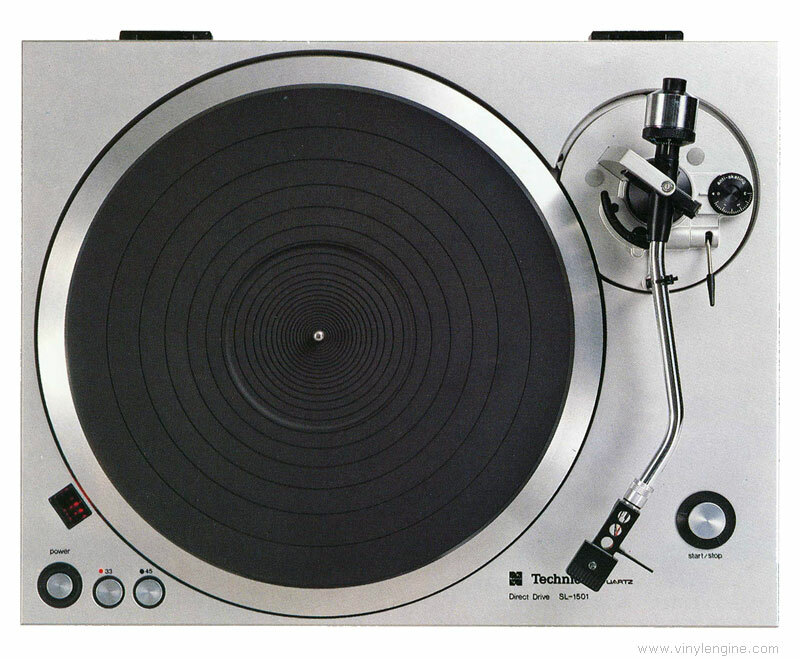 This website is not affiliated with or sponsored by Technics.